Spacious living room with leather furniture. Plenty of room in this unit! 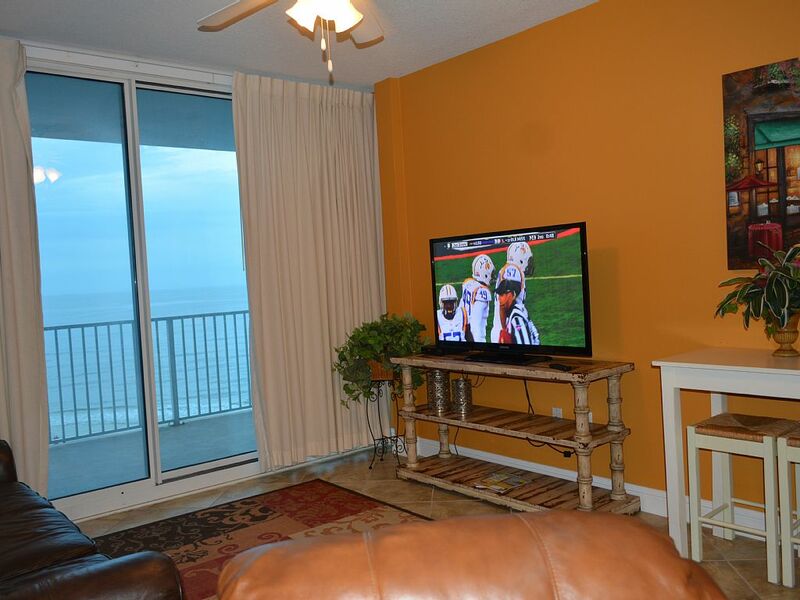 Large 52" TV in the Living Room. 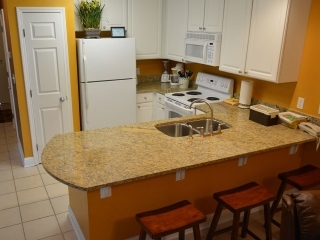 Kitchen with seating at the beautiful granite bar. 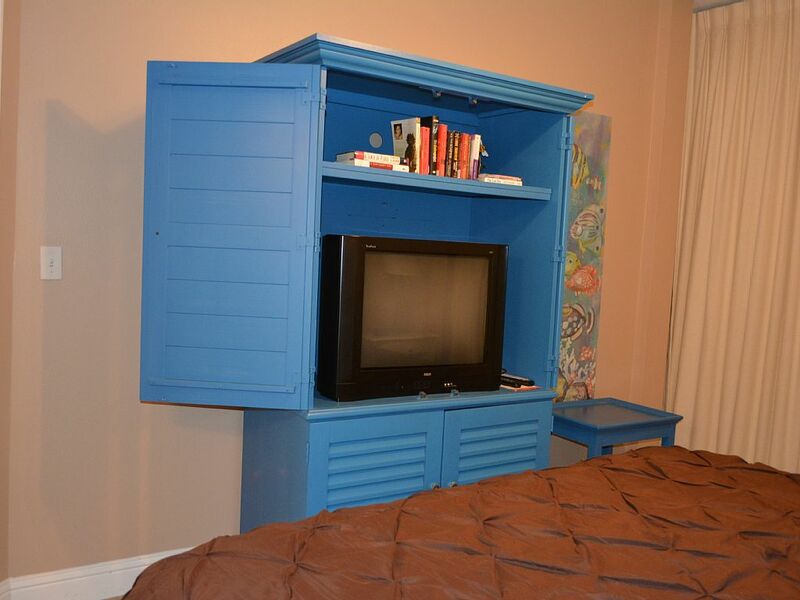 Just in case you want to watch some TV in the bedroom. 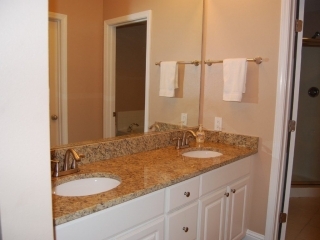 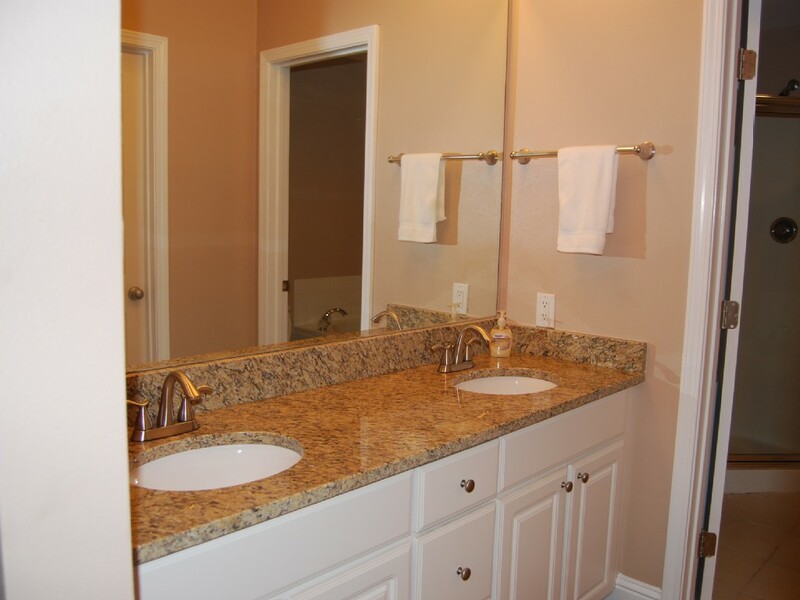 Double sink in the Master Bath. 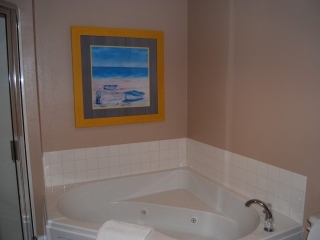 Large whirlpool tub with separate shower in the Master Bath. 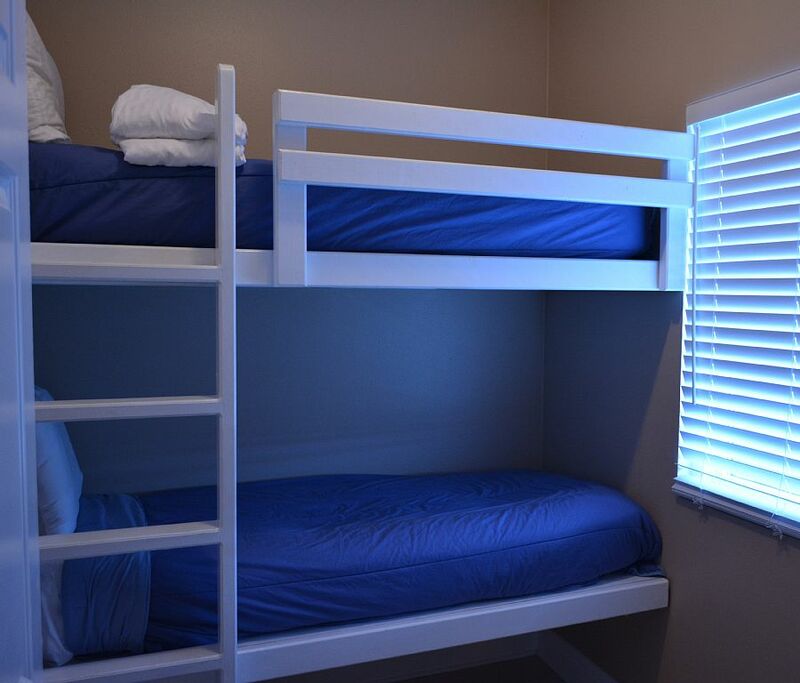 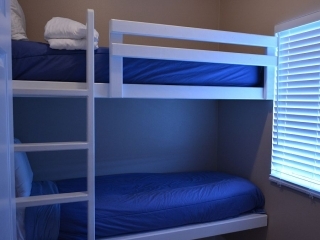 Bunk bed room (with TV). 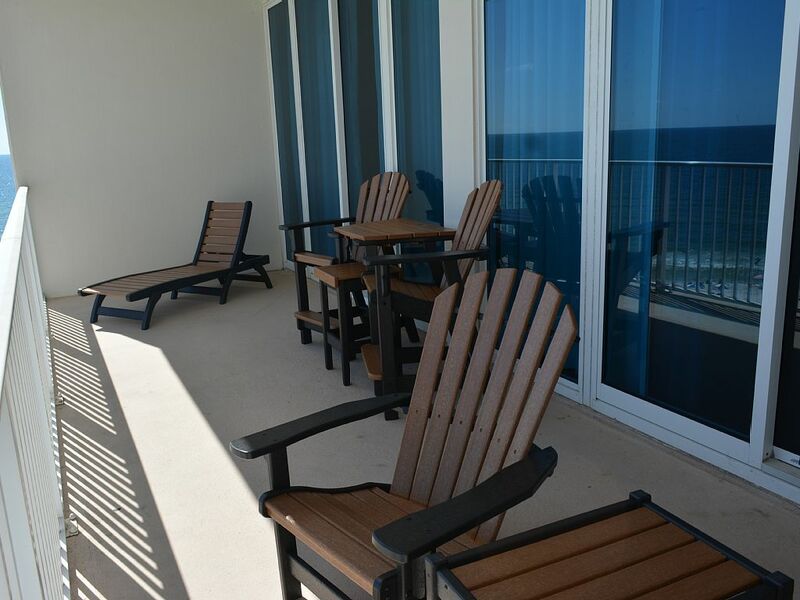 Beautiful new furniture on the balcony! 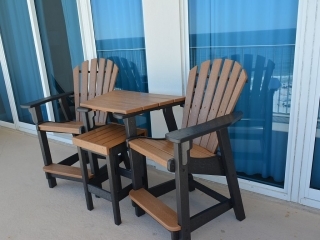 2 adirondack chairs, a chaise & 2 bar height chairs w/ table attached and stool. 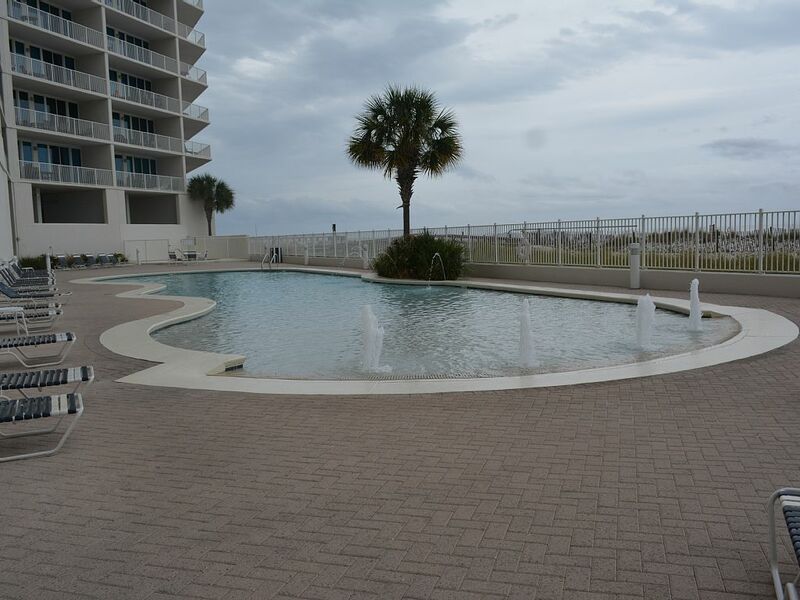 One of the pools with fountains on the side. 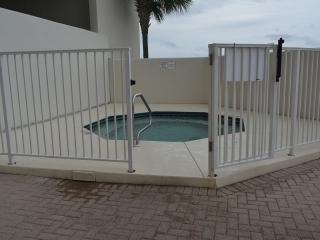 One of the two hot tubs in the pool area. 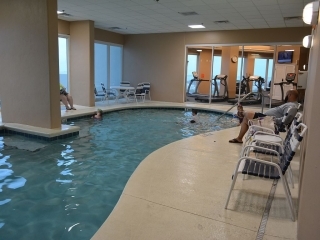 Warm indoor pool for rainy days. 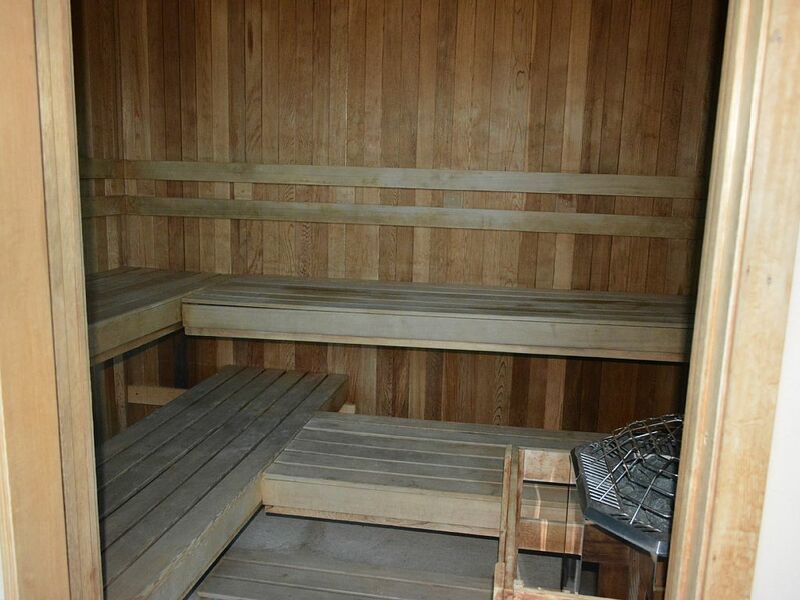 Sauna in back of the gym area. 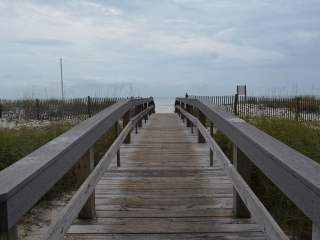 Short boardwalk to the sand! 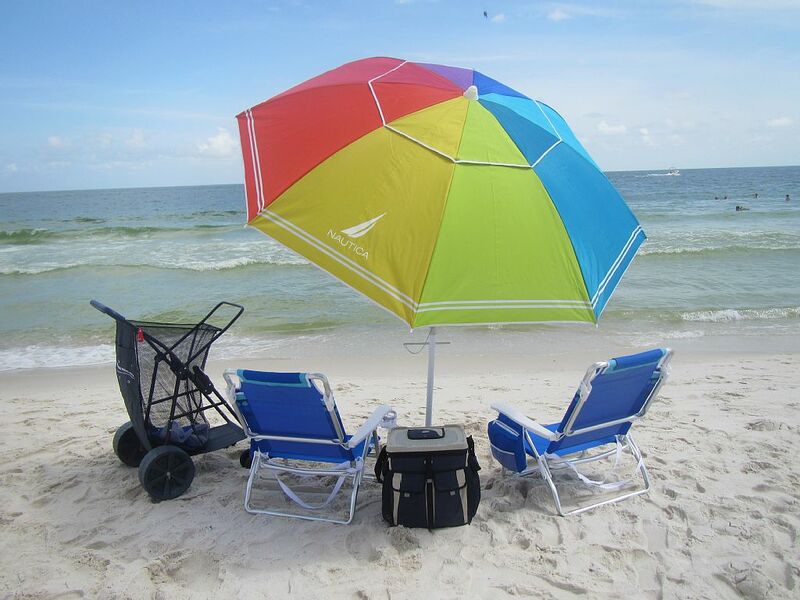 My unit comes with 2 beach chairs, umbrella, cooler and buggy for you to use! 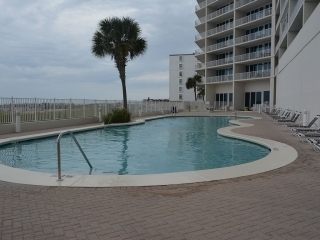 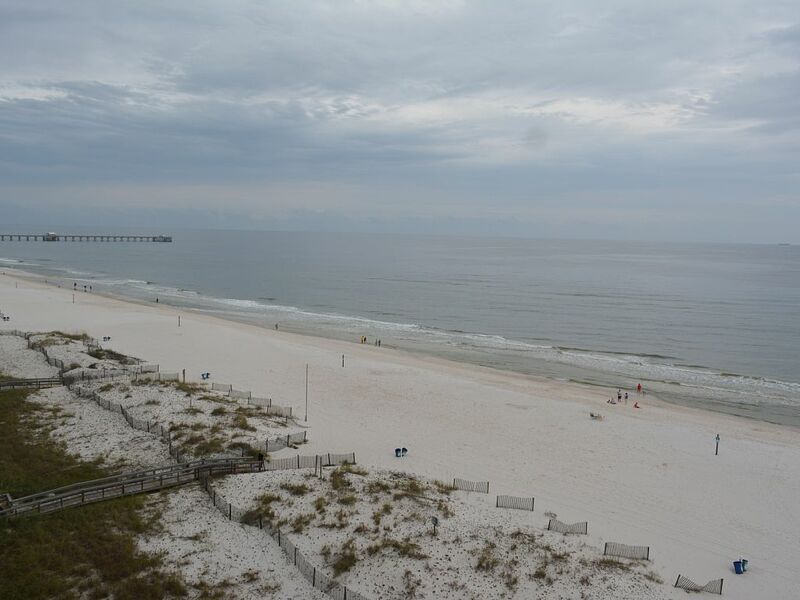 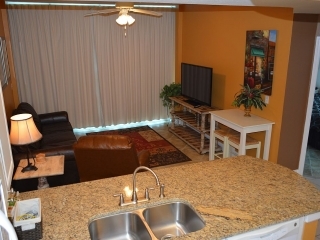 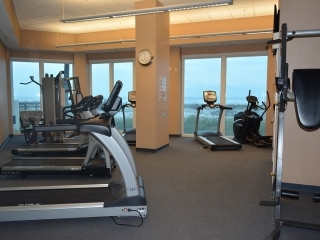 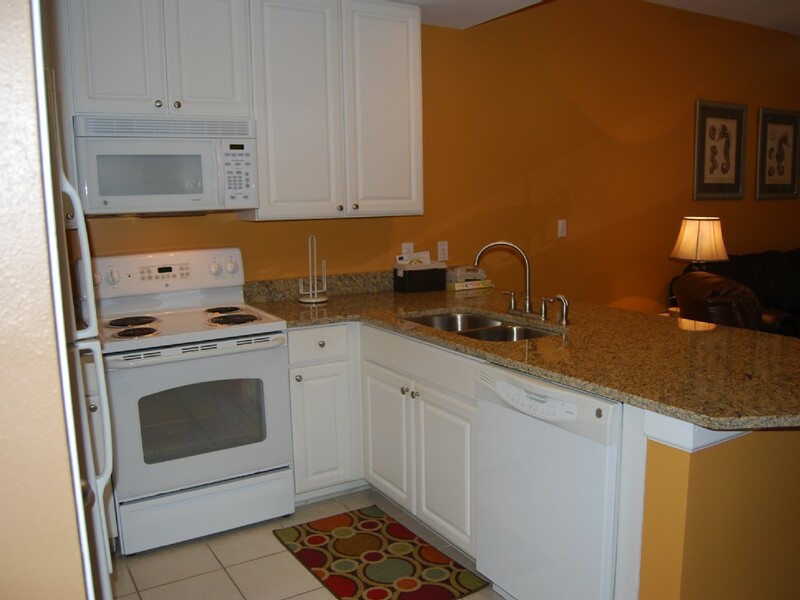 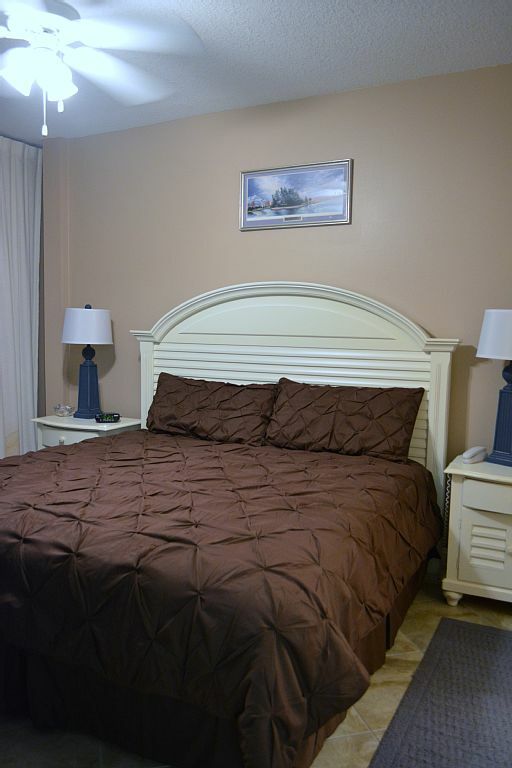 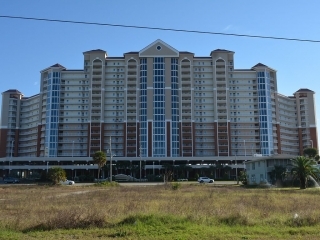 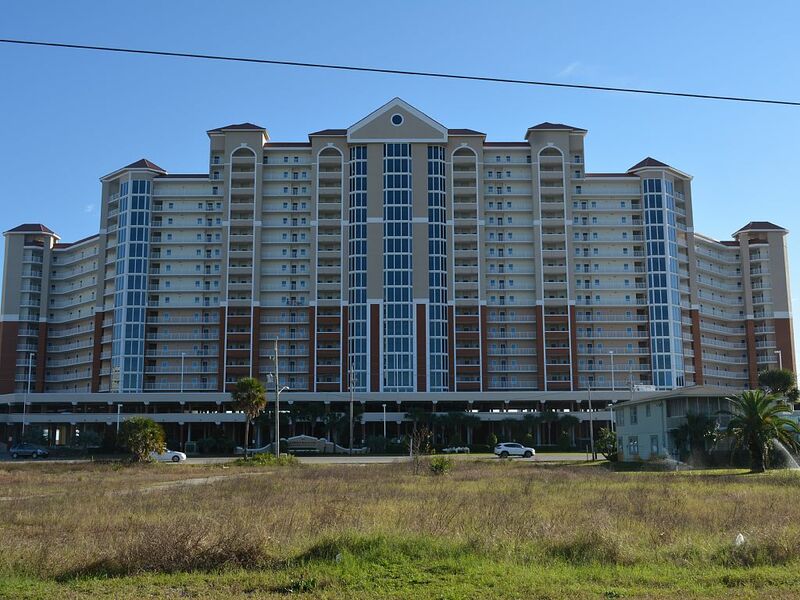 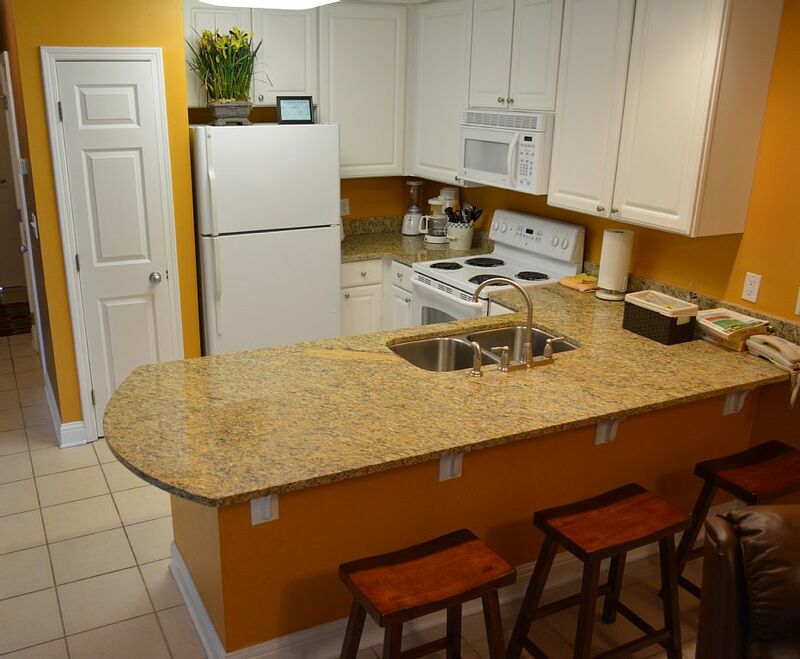 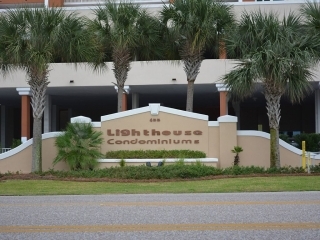 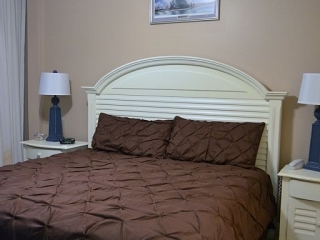 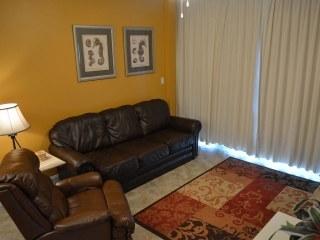 Lighthouse is a GREAT complex with lots of amenities!